The 553 General Purpose FybRglass® Wheel is used for 30-42 AWG wire. All of our FybRglass® Stripping Wheels are manufactured in house to ensure the highest standards of quality and delivery. 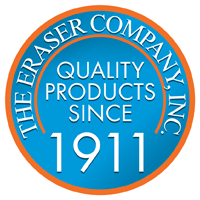 We make stripping wheels to fit all competitive machines as well as for all Eraser Models. We can also manufacture custom size wheels. There are many factors that determine the proper grade of FybRglass® wheel for a specific wire stripping application. These include wire size, type of insulation, strip length and number of wires stripped at one time. For this reason, we suggest you give us a call, to determine the proper grade for your application.